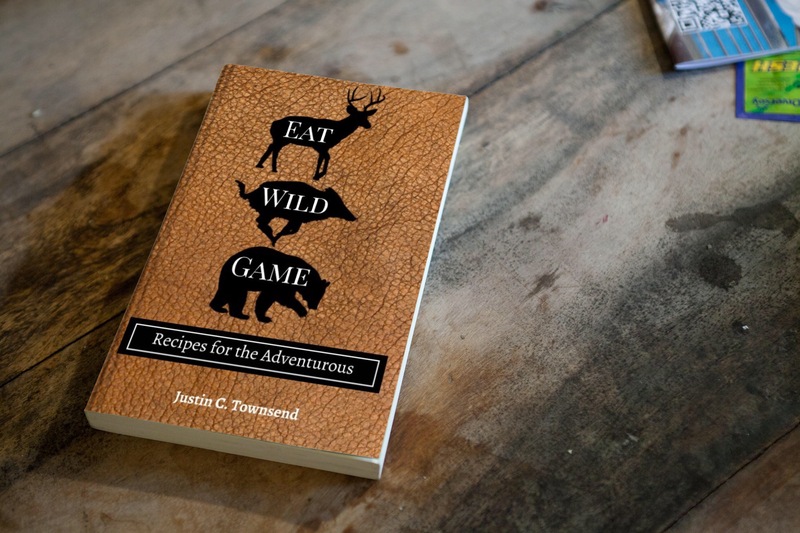 It is said that hunters pass through the Five Stages of a Hunter and each stage has a different definition of what qualifies as successful hunting. 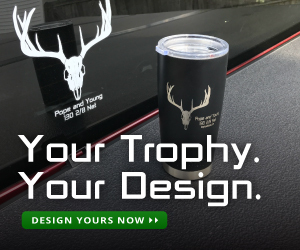 I’m not any different than other hunters and I have passed through most of these stages, some quicker than others, and I find myself smack dab in the middle of the “Method Stage.” It is a journey that I’m thoroughly enjoying, it has allowed me to extend my hunting season, experience the outdoors in different ways, and it’s challenging me and my skills as a hunter and outdoorsman. The “Method Stage” started, for me, when I asked to borrow my Uncle’s muzzle loader for a season to see if I liked it before I bought my own. It continued the following year when I harvested my first whitetail with an inline muzzleloader, the one I bought from my Uncle. I’ve been trying, unsuccessfully, to fill one of my tags using a flintlock muzzleloader, but I’m determined to do so. This year I’ve taken a step farther into the “Method Stage” with a gift I received for my birthday, a 72 inch and 55 pound, hickory longbow, made by Rudder Bows Archery. 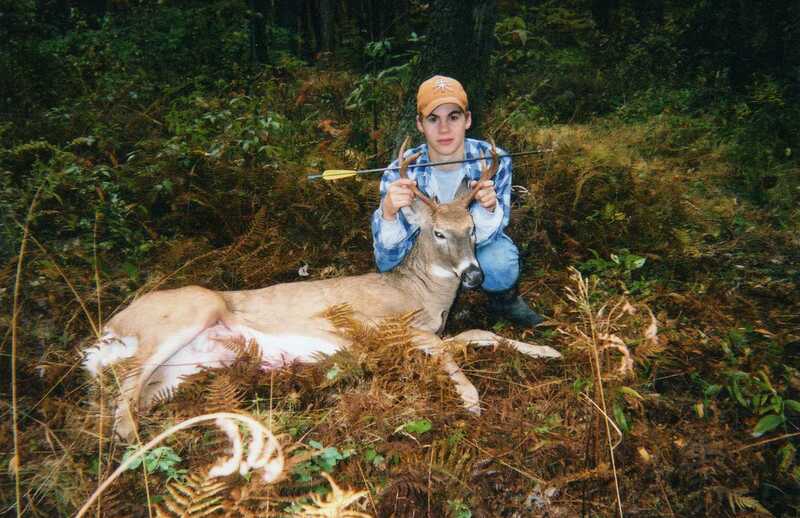 I’ve been a dedicated archery hunter for nearly 20 years, which I’ve always preferred over rifle hunting. I consider myself a successful archery hunter, the majority of the whitetail bucks and many of the does I’ve harvested over the years have been taken with a compound bow. 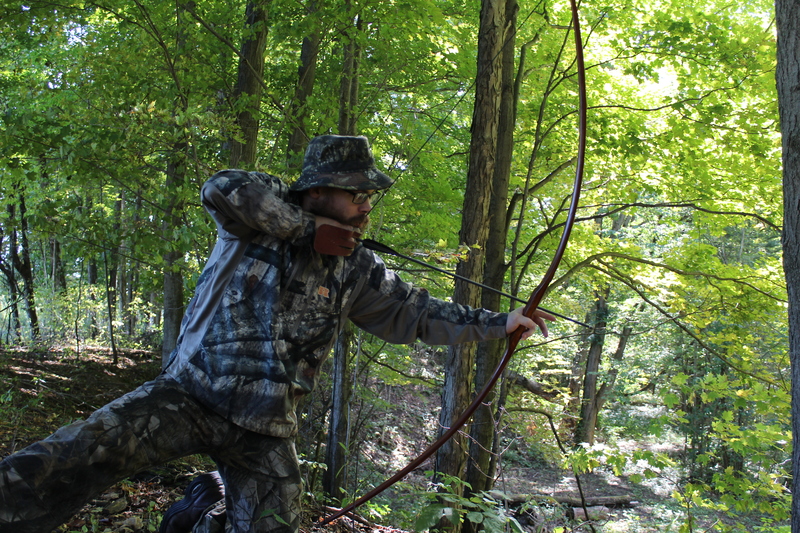 I look forward to archery season every year, the cool, crisp mornings, the vibrant colors of the leaves, and the calmness of the undisturbed woods can all be found during the fall archery season in Pennsylvania. Since I’ve enjoyed so much success using a compound bow, I want to up the ante and continue to challenge my archery skills. I’ve set a goal for myself, within 5 years I want to harvest a whitetail with traditional archery equipment. I am just starting on this path, and I will share my experiences, mistakes, failures, and triumphs along the way. The day after I received the longbow I grabbed a few old aluminum arrows I had laying around and took the bow out to the range I have set up in the backyard to see what I could do. I quickly found out that the string that came with the bow, which is a flemish twist style, didn’t work with the nocks on the arrows. I managed to send a few arrows down range, but I needed a string with serving and a brass nock point if I wanted to be consistent. I knew just where to get the string I needed, 60X Custom Strings. Being a novice in the traditional archery realm I wasn’t sure what type and size of string I needed to order, so I called 60X and they walked me through exactly what I needed, a 68 inch, two color Dacron Longbow string. Only $13 and a few days later the string was in my mailbox and I was ready to start flinging arrows. One of the first steps to achieving my goal is to become a proficient shot with the longbow. 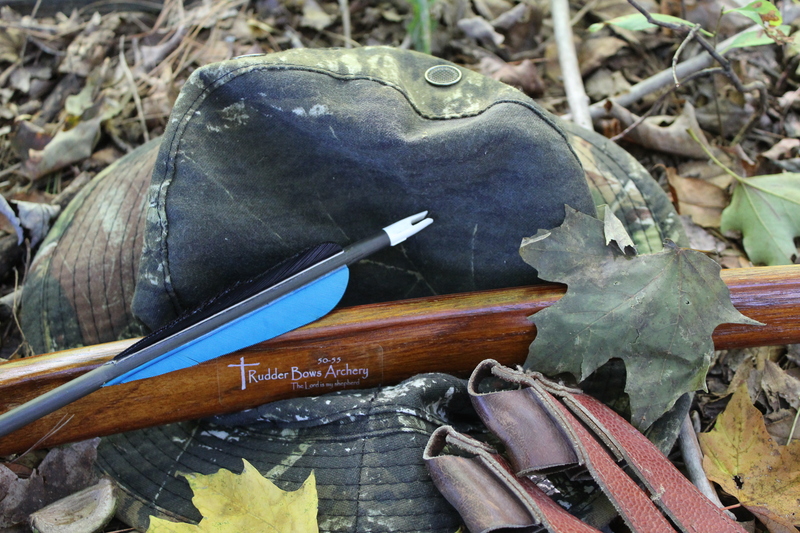 Before I step foot into the woods with the longbow I want to make sure I have the necessary skills to successfully, and ethically, harvest a deer. So my first challenge was figuring out an anchor point in order to be consistent with my shot placement. When going from a compound bow to traditional archery I have to completely alter my style of shooting, without a peep sight it was difficult to keep the same anchor point from shot to shot. I first started by drawing back the bow and anchoring with the string against the side of my face and the knuckle of my thumb against my jaw bone. At 10 yards, I could keep them on the target, but that was about it. There was no consistency, I needed better form and a solid anchor point to help tighten my groups. After talking with a close family friend, who was a good shot with a recurve before compound bows came along, I was able to gain some insight and I refined my form to help ensure I’m using the same anchor point with every shot. I changed up my anchor by holding the string directly against my nose with the knuckle of my thumb under my jaw. After doing this, and with some practice, I was able to keep my shots within a ten inch circle at 10 yards. Having the string against my nose allows me to keep my eye, the arrow, and the center of the target all in one straight line, improving my shot consistency.